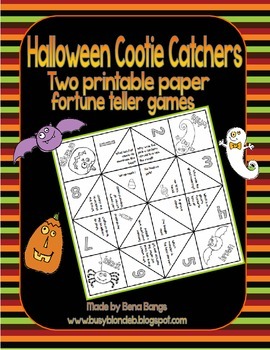 This product is an awesome alternative to giving candy in your classroom! 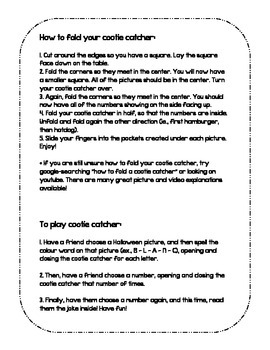 If you're looking for a fun treat to give your students to celebrate Halloween, this is it! 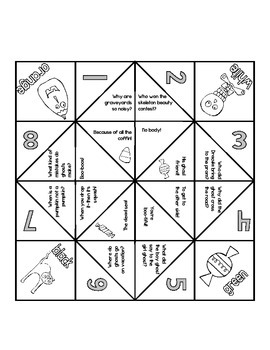 This file contains two different "cootie catchers" (aka "fortune tellers") for you to print and give to your students. 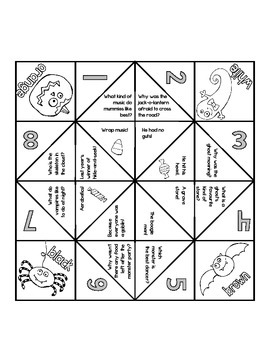 They will enjoy decorating them, folding them, and then using them with their classmates to giggle over the jokes inside! Folding instructions are included. Please note, you can download this as a preview to see exactly what you will be getting. If you have any questions, please don't hesitate to ask! Thanks!